The second Eastern North Pacific hurricane of the season is whipping up 120 mph winds but moving at a glacial pace of about 7 mph. 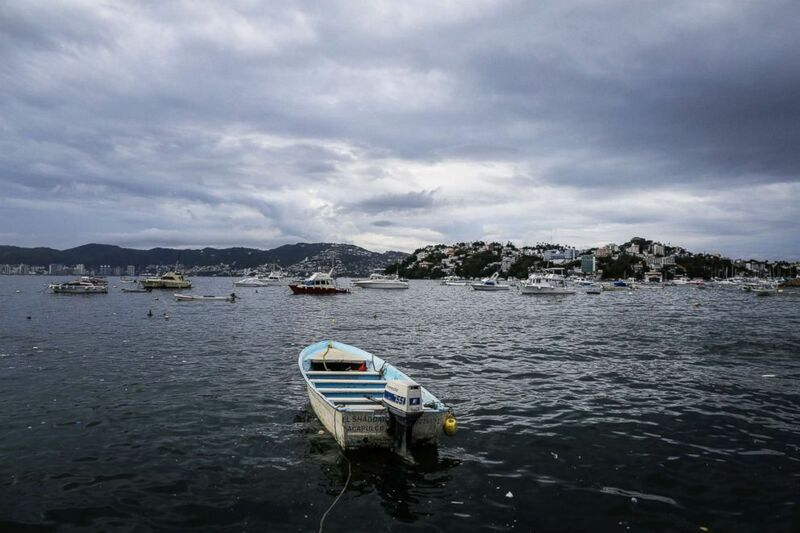 It’s currently churning up waters more than 300 miles west of Puerto Vallarta and 400 miles south of Cabo San Lucas. Hurricane Bud is the sequel to last week’s Hurricane Aletta, which was eventually downgraded to a tropical storm. At its peak, Aletta was a Category 4 hurricane when it was first detected about 500 miles off Mexico’s west coast late last week and scared up heavy swells that swept across the west coast from Baja, California and led to strong rip current conditions. While Bud was initially expected to make landfall in Mexico as a Category 3 hurricane, new forecasts on Monday afternoon began predicting that Bud will hit Baja California or Cabo San Lucas as a weak tropical storm with winds reaching only about 40 mph. General viewis captured of the temporary impact on the port area of Acapulco, rains that hit part of the country in the wake of Hurricane Bud, in the state of Guerrero, Mexico, June 11, 2018. Still, some of Bud’s outer rain bands could drench Puerto Vallarta later tonight and into tomorrow. In terms of rainfall, Bud is predicted to drench southwestern Mexico with three to six inches, with some areas seeing as much as 10 inches.